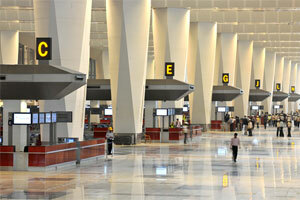 Annual O&D market between New Delhi and Atlanta is 12,000 passengers. However, adding other large O&D destinations served from Atlanta increases the market size many-fold. 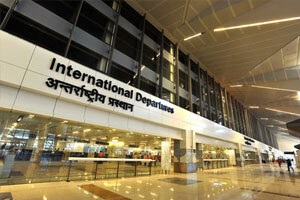 Currently no non-stop flights operate between Atlanta and New Delhi. 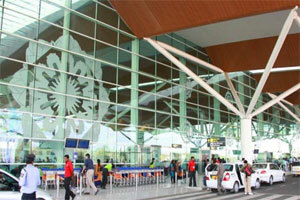 Annual O&D market between New Delhi and Malé is 5,000 passengers. Annual O&D between New Delhi and Manchester is 54,000 passengers. 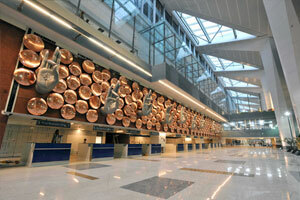 Currently no non-stop flights operate between Manchester and New Delhi. Third biggest O&D market in the UK and one of the largest un-served in Europe. 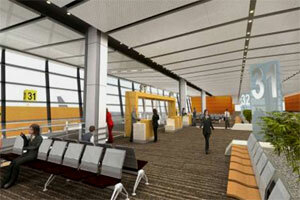 Annual O&D market between New Delhi and Melbourne is 85,000 passengers. 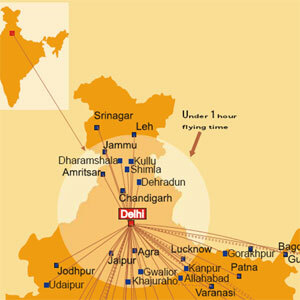 Currently no non-stop or one-stop flights operate between Melbourne and New Delhi. Annual O&D market between New Delhi and San Francisco is 53,000. Currently no non-stop or one-stop flights operate between San Francisco and New Delhi. 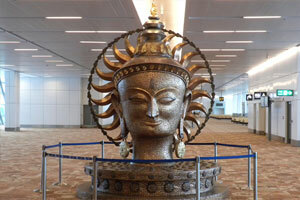 There are no non-stop or one-stop flights between San Francisco and all of India. 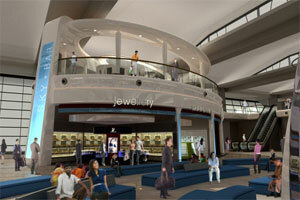 Annual O&D market between New Delhi and Sydney is 80,000 passengers. 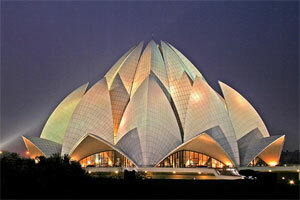 Currently no non-stop or one-stop flights operate between Sydney and New Delhi. 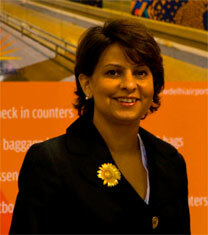 Annual O&D market between New Delhi and Toronto is 151,000 passengers. No non-stop service. Annual O&D market between New Delhi and Vancouver is 120,000 passengers with mostly economy passengers making up the whole segment. Currently unserved route from all of India. Delhi, the city boasting India’s highest personal disposable income, is unsurprisingly burgeoning with promising new route opportunities. 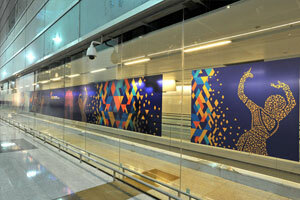 The new Terminal 3 opened to passengers in July to cope with the demands of growth and the needs of the XIXth Commonwealth Games in October. This new world class facility is linked downtown by a six lane highway and a dedicated express extension to the Metro Rail.. Dedicated account management through one stop shop window for all airport-related needs. A fusion of the ancient and the modern: The city and the National Capital Region (NCR) have a combined population of 16m making Delhi one of the fastest growing cities in the world and a leading host of some of the largest global and Indian corporations. 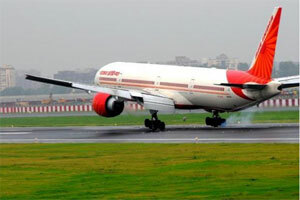 The Indira Gandhi International Airport is conveniently located about 10 km from the city centre, connected by high speed metro rail to city centre and directly opens into the national highway system. 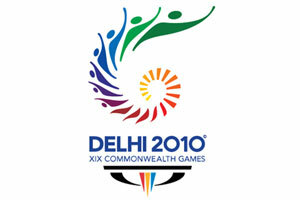 New Delhi, the capital and the third largest city of India, is a fusion of the ancient and the modern. 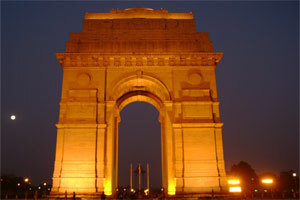 Right from ancient times, the city has been the political and cultural hub of India. 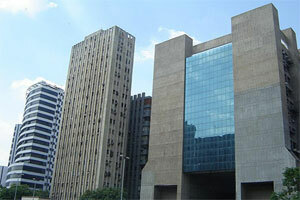 Even in the 21st century, the city is at the cutting edge of the country’s rapid growth. 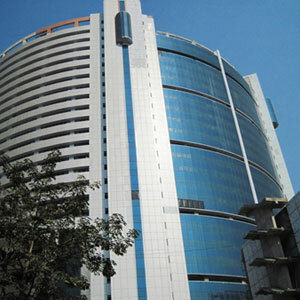 The city and its satellite town, collectively known as the National Capital Region (NCR), is the epicentre of economic and political development in the country. It is one of the fastest growing cities in the world with some of the largest global and Indian corporations being headquartered here. Charting phenomenal growth after India’s independence in 1947, Delhi has become a cosmopolitan mixture of religious groups, linguistic communities, social segments and economic brackets. 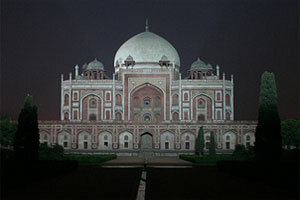 New Delhi is also the hub for tourists who wish to explore the north of India. Of great interest to tourists are the city’s famed monuments such as the Red Fort, Qutub Minar, Humayun’s Tomb, Old Fort and Bahai Temple. It also serves as the access point to a world -famous tourist circuit, The Golden Triangle – New Delhi, Agra and Jaipur as well as the famed hill stations of the Himalayas. The new terminal brings with it a third runway in 2010 – at 4,330 metres, Runway 11/29 is among the longest in Asia. The runway’s peak capacity of 60 movements/hour, within a system of three simultaneously-operating runways, will significantly enhance connection and hubbing possibilities to the 230m-strong catchment within one hour’s flying time. Terminal 3 can handle an annual throughput of 34m passengers - ample capacity for growth, and supreme comfort for the current 23m passengers. 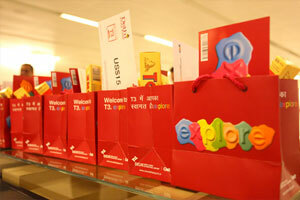 A new retail brand –‘explore’ – has also been introduced to vastly improve the airport’s commercial offering. Also brand new: the domestic Terminal T1-D ensures a 60 minute domestic-to-international minimum connection time..
New Runway 11/29 – making Indira Gandhi International Airport India’s first airport with three operational runways. At 4,430m, this runway is the longest in India and amongst one of the longest in Asia. CAT III B ILS enabled (at both ends), 11/29 is Code F aircraft compliant, provides five rapid taxiway exits, and a peak runway capacity of 60 movement per hour. 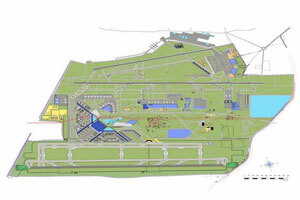 Mixed Mode Runway: Simultaneous operations will significantly reduce minimum separation. The newly -built Departure Terminal 1D (for domestic flights) features a host of passenger friendly facilities that will make transit through the airport a smooth and pleasant experience. 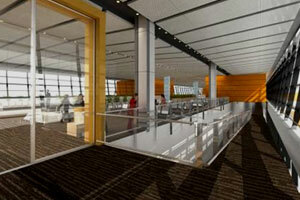 Terminal 1D spreads across an area of 37,500 sq.m. 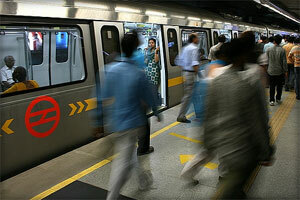 with a peak capacity of 3,000 passengers per hour. 72 check-in counters with CUTE for easy check-in. Reduced queuing time – elimination of separate baggage X-ray with the introduction of 4 level in-line baggage screening.